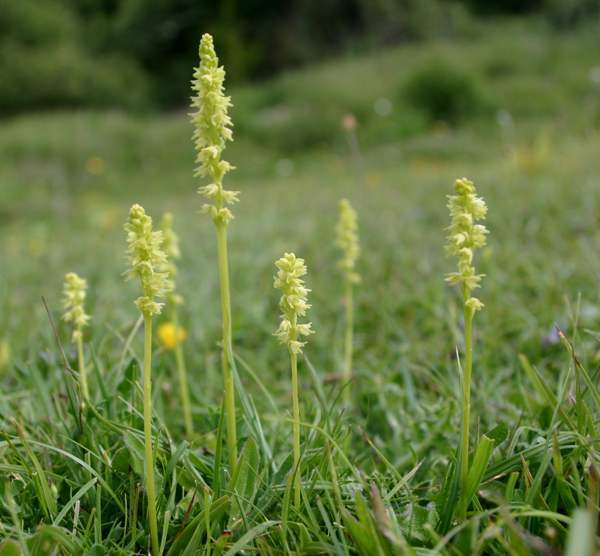 In the UK this rare orchid is now confined to the southern part of England where it lives in short, cropped grass on chalk or limestone habitats. There are up to 20 species of Herminium, a Eurasian genus, recorded but only one from Europe. This overall greenish-yellow orchid is very difficult to spot. It grows to between 15-30cm and has between 2-4 oval keeled leaves at the base of the stem. The flowers are very small and greenish-yellow, bell-shaped and project downwards from the stem. They have a strong honey scent and are very attractive to the tiny insects that cross-pollinate them. Musk Orchid is also able to reproduce vegetatively and the plants grow several new tubers at the end of tiny rhizomes which extend up to 20cm from the parent plant. 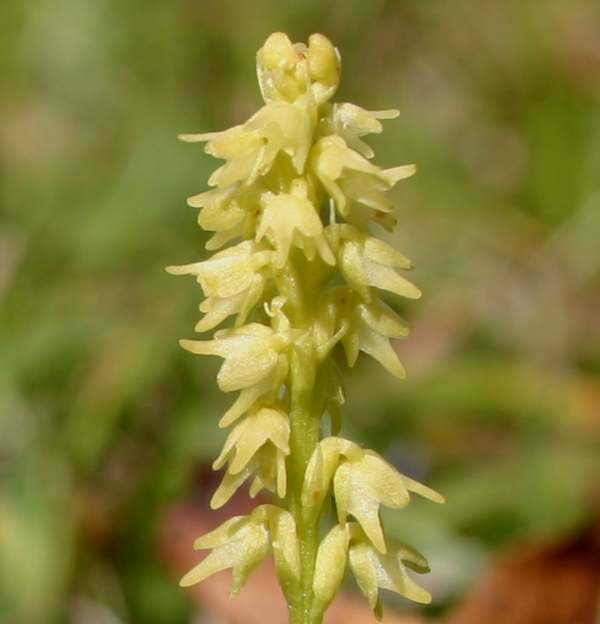 In the UK this rare orchid is now confined to in the south of England but it is still widespread throughout Europe from Scandinavia in the north to Italy in the south. It is also present in the Balkan states in central Europe. This orchid requires short grassland on chalk or limestone. The specimens shown on this page were photographed in Hampshire, at Noar Hill, in mid-June.